Our specialty nuts are purchased from warmer or tropical climates. The Cashews are imported raw from the Caribbean and Pacific Islands. 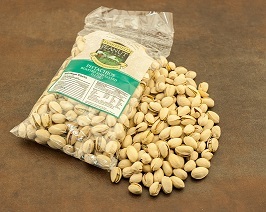 The Almonds and Pistachios are from the West Coast. The Pecans are grown closer here on the East Coast. 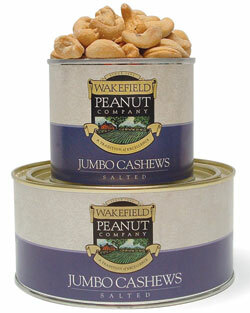 These Cashews are imported raw and hand cooked on-site in peanut oil and canned in 10 and 22 ounce tins. The unsalted Cashews are canned in 22 ounce tins. A delicious Pecan treat reminding us of days-gone-by, covered with just the right amount of cinnamon, sugar, and brown sugar for that sweet homemade taste. Pecans are rich in fiber, proteins, vitamins and minerals. These Cashews are toasted with just the right amount of honey making them a delicious and nutritious snack.